A conditional permanent resident is required to submit a Petition to Remove Conditions (Form I-751) within the 90- day period of time immediately preceding the second anniversary of the date on which the alien obtained conditional permanent residence. The conditional resident must file the petition jointly with his or her spouse, unless certain conditions exist for a waiver. The joint petition must be filed with either the Vermont Service Center or the California Service Center,depending on the residence of the conditional resident. The marriage was entered into in accordance with the laws of the place where the marriage took place. The qualifying marriage has been annulled or terminated (other than through death of the spouse). The marriage was entered into for the purpose of procuring permanent resident status for the alien. Under current immigration law, if on the date an individual is granted permanent residency (a green card) the marriage is less than 2 years old, a temporary Green Card is given. The couple is required to complete Form I-751 together at the end of the following 2 years. Failure to do so results in the automatic loss of the status for conditional resident at the end of the two-year period. Both parties must sign the I-751. They must submit a filing fee and documents establishing that the marriage was entered into in “good faith” and not for the purpose of evading the immigration laws. The things that USCIS looks closely while adjudicating I-751 petitions are: joint health insurance, leases, children, etc. The termination of the beneficiary’s status and removal would result in extreme hardship. The Beneficiary Entered into the Marriage in good faith, but his/her spouse subsequently died. The Beneficiary Entered into the Marriage in good faith, but the marriage was later terminated due to divorce or annulment. The I-130 Beneficiary may file the I-751 petition at any time after he or she is granted conditional resident status and before he or she is removed. Petitioners will receive an RFE requiring that the divorce be finalized in 87 days. If the divorce is finalized before the response to the RFE is due, petitioners may submit the divorce decree in response to the RFE and the case will be processed as a waiver case. If petitioners are not divorced in time to respond to the RFE, they will receive a notice revoking CPR status, and an NTA will be issued. Petitioners will receive an RFE asking for a divorce decree, and when it is submitted, petitioners must then request that their case be converted to a waiver case. This will avoid the need to refile the case as a waiver. When this occurs, the case may or may not, depending on the strength of its merits, be referred for interview. If petitioners are not yet divorced when the RFE response is due, then the case will be evaluated on the strength of the bona fides of the marriage. USCIS will then approve, deny, or interview. The officer will adjudicate the I-751 as a joint petition. Ask the officer at the interview to keep your case in abeyance to give you a chance to file a good faith waiver. Or you can file a new I-751 now, and bring the receipt and the filing to your interview. This strategy might work depending on your jurisdiction. USCIS has issued a policy memorandum providing guidance to USCIS officers on when to consider waiving the interview requirement for Form I-751, Petition to Remove Conditions on Residence This PM goes into effect on December 10, 2018 and applies to all Form I-751 petitions received on or after December 10. Can I convert my conditional green card to H-1 or F-1 status? No, you cannot change your status from a green card holder to a non-immigrant status. 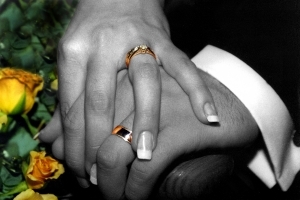 I married a U.S. citizen and was granted permanent resident status on a conditional basis. Subsequently we got divorced. I had never filed a petition to remove the condition. Later I married a second U.S. citizen. Can my new wife file a visa petition on my behalf so I can adjust my status in the U.S.? When to file Form I-751 waiver , if marriage ends in Divorce? You do not have to wait to file the I-751 if the divorce is finalized; the sooner, the better. I am about to file Form I-751 to remove the conditions. Can I travel outside of the U.S. before I receive my 10 year Green Card?